To investigate the effects of hyperbaric oxygen (HBO) on brain damage and autophagy levels in a rat model of middle cerebral artery occlusion. Neurologic injury and infarcted areas were evaluated according to the modified neurological severity score and 2,3,5-triphenyltetrazolium chloride staining. Western blots were used to determine beclin1, caspase-3 and fodrin1 protein expression. Beclin1 protein expression (an autophagy marker), positive terminal dUTP nick-end labeling (TUNEL) staining (an apoptosis marker) and positive propidium iodide (PI) staining (a necrosis marker) were detected by immunofluorescence. Our results indicated that HBO could decrease the infarct volume and speed up the recovery of the neurological deficit scores in ischemic rats. Beclin1 was down-regulated after HBO treatment. HBO treatment inhibited fodrin1 protein expression and decreased the number of PI-positive cells. HBO also down-regulated caspase-3 and decreased the number of TUNEL-positive cells. Cerebral ischemia caused early neuronal death due to necrosis, followed by delayed neuronal death due to apoptosis. Consequently, autophagy might be involved in all processes of ischemia. 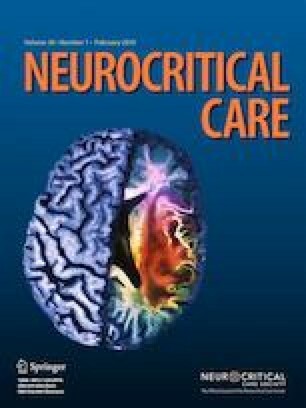 HBO could protect the brain against ischemic injury, and the possible mechanisms might be correlated with decreased autophagy activity and decreased apoptosis and necrosis levels. The online version of this article ( https://doi.org/10.1007/s12028-018-0577-x) contains supplementary material, which is available to authorized users. KML participated in study design, collection of data, analysis of data, interpretation of results, drafted, and finalized the manuscript. HRW participated in study design, interpretation of results and reviewed. XLG participated in study design and interpretation of the results. QHL participated in study design and interpretation of the results. MC participated in study design, interpretation of the results. YS participated in collection of data, analysis of data and interpretation of results. XL participated in collection of data, analysis of data and interpretation of results. SMP participated in initiation of the study, study design, drafted, and finalized the manuscript. Funding was provided by National Key Clinical Medicine Construction Program on Emergency Department; Emergency Medicine-Hospital Supported Key Department Program in 2013; Public Health Talent Training Plan of Shanghai, GWDTR201219; post the outstanding young medical talent plan of Xinhua hospital; the Doctorial Innovation Fund of Shanghai Jiao Tong University School of Medicine (BXJ201726). All authors disclose that they have no financial or personal relationships with other people or organizations that could inappropriately influence (bias) this work. This includes employment, consultancies, stock ownership, honoraria, paid expert testimony, patent applications/registrations, and grants or other funding.